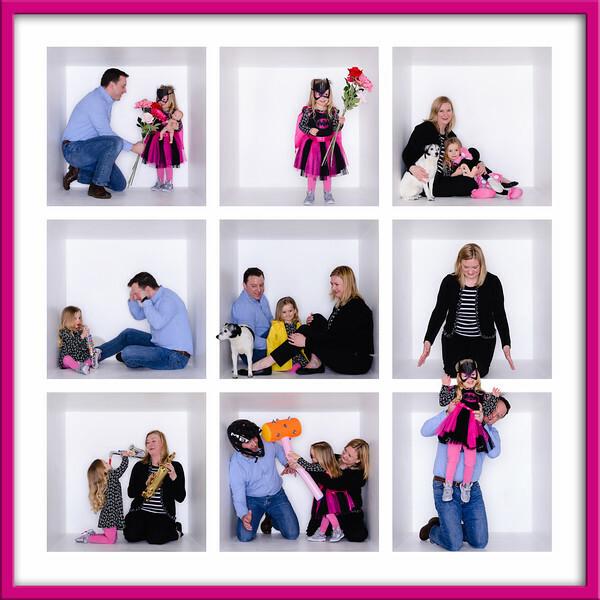 If you are looking for something a little different for your family portrait this year why not book one of our cube sessions! These mini 1 hour family portrait sessions are great fun, no matter what age you and the kids are. From Granny to Grandchildren a cube session will bring out the character in anyone as its a great way to capture your family! Our Cube Session is a 1 hour photo shoot for all the Family and costs £90 which covers the shoot and a viewing session where you get to see your images on the big screen. For a limited period It also includes a single framed 4-image montage from the shoot which normally costs £105. We have a special range of frames and finishes to compliment the portrait style starting from as little as £105. We also have some amazing packages with savings of over £250! Our Cube Sessions are really popular especially at weekends, so don’t delay book yours today!